SK students have been learning about frogs. 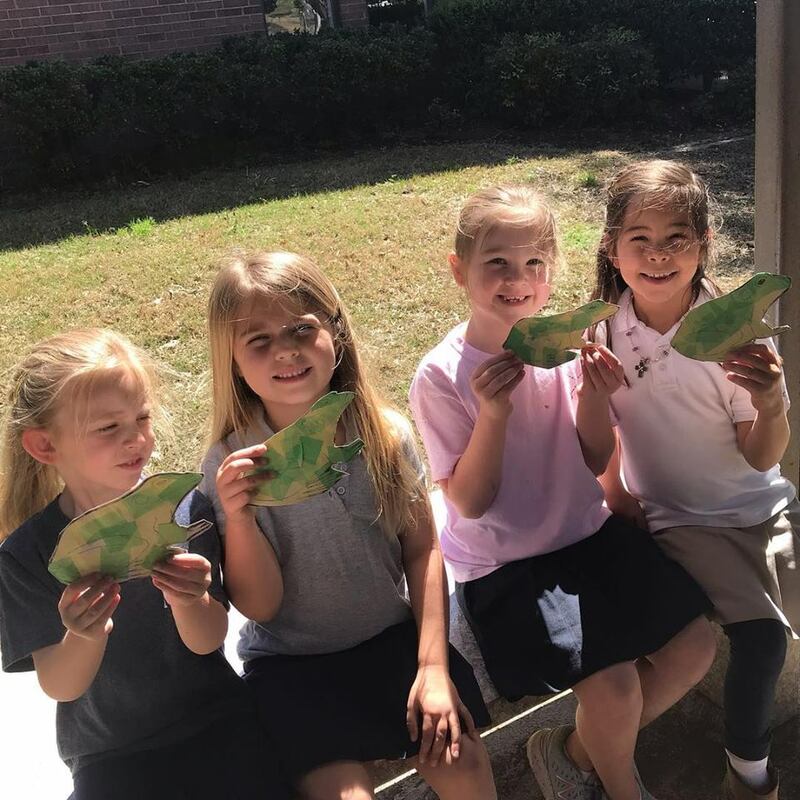 They have been learning that frogs camouflage themselves. 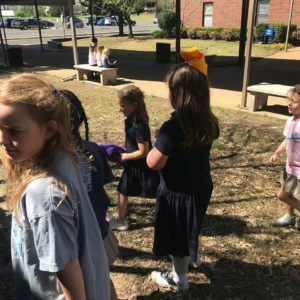 Camouflaging or crypsis, as it is sometimes called, occurs when an animal is colored to match its surroundings. Frogs use camouflage to avoid predators while they sleep, call and feed. 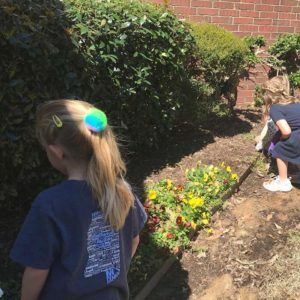 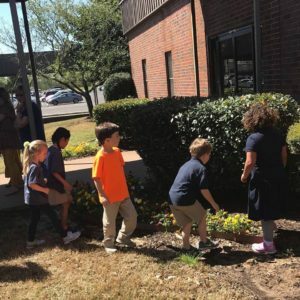 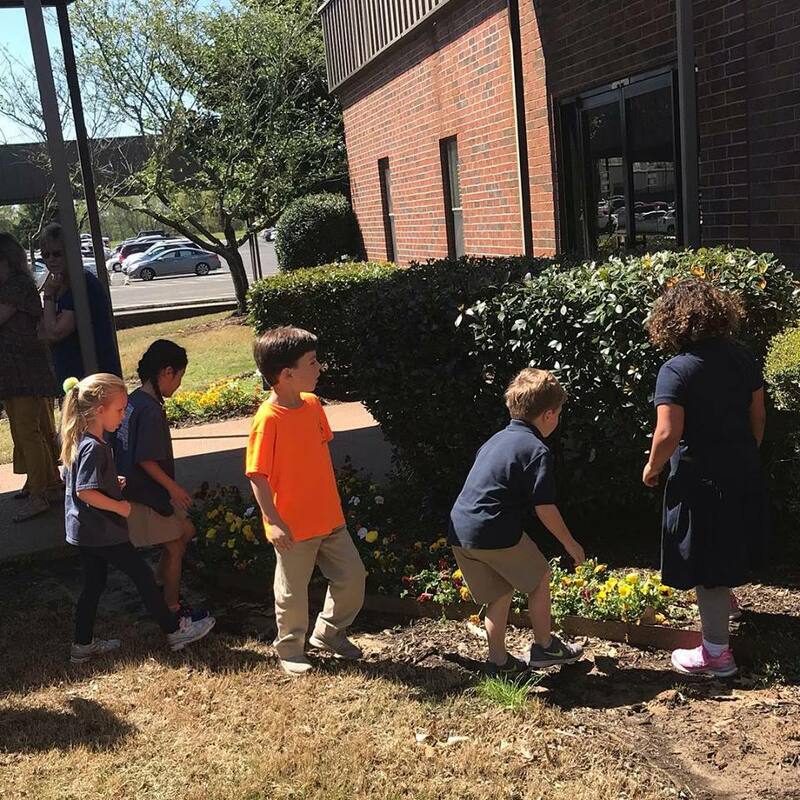 Mrs. Barbee’s students loved searching for their camouflaged frogs in the flower beds and green shrubs around the front of the school. The warm sunshine was an added bonus to the perfect outdoor activity!